We stumbled upon the parade at just the right time. 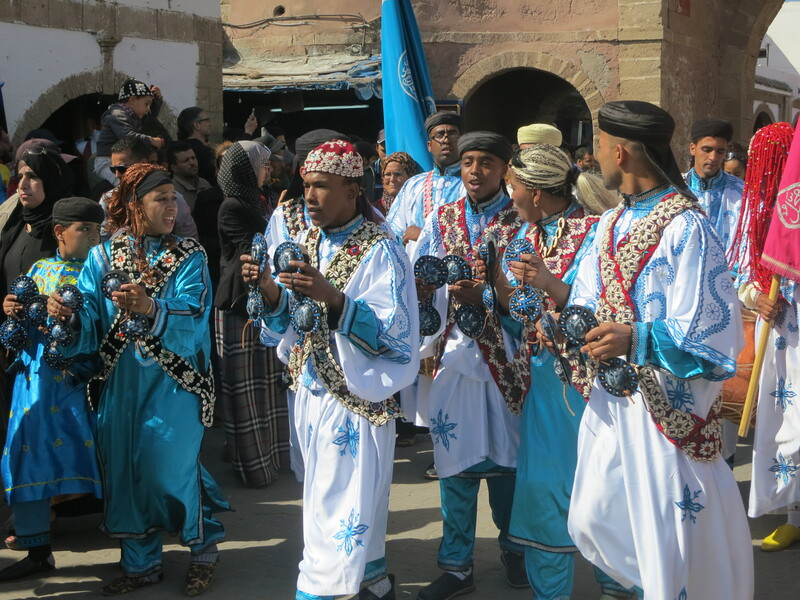 The colourful musicians were making their way through the old medina of Essaouira as the famous sounds of Gnaoua music filled the streets. We stopped in admiration of the costumes, the talent, and even danced a little. The perfect little teaser of what’s in store! 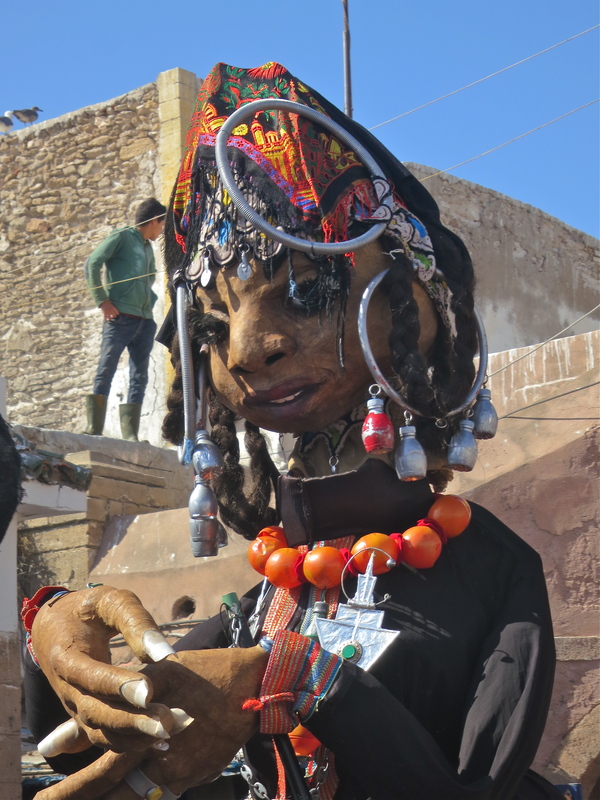 And when we didn’t think it could get any more livelier, along came the giant marionettes, dancing through the streets to the cool sounds. 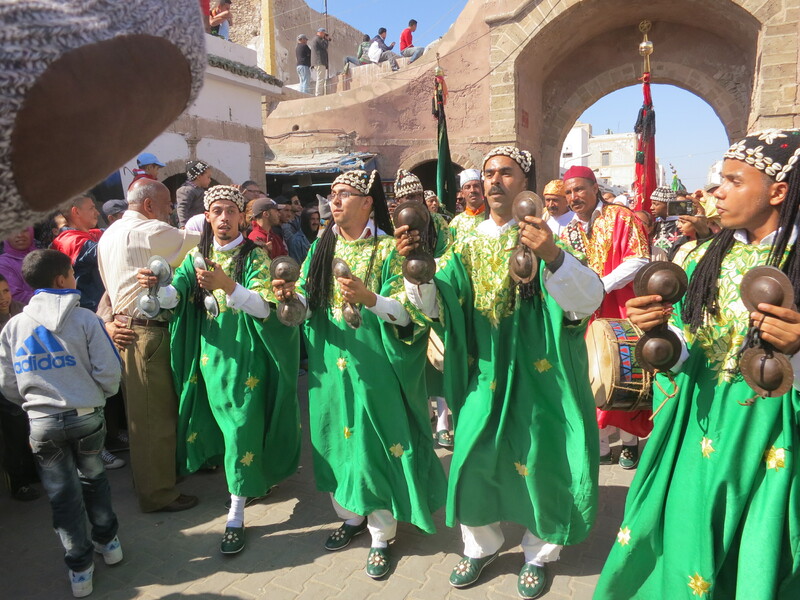 Then as the sun set, the stage on Place Moulay Hassan came alive with some great Gnaoua fusion music. And lucky us, we watched from the rooftop terrace at Taros during a private party. We may have woken up with sore heads this morning, but it’s just the beginning and I can hardly wait to see what the rest of the weekend has in store for us. 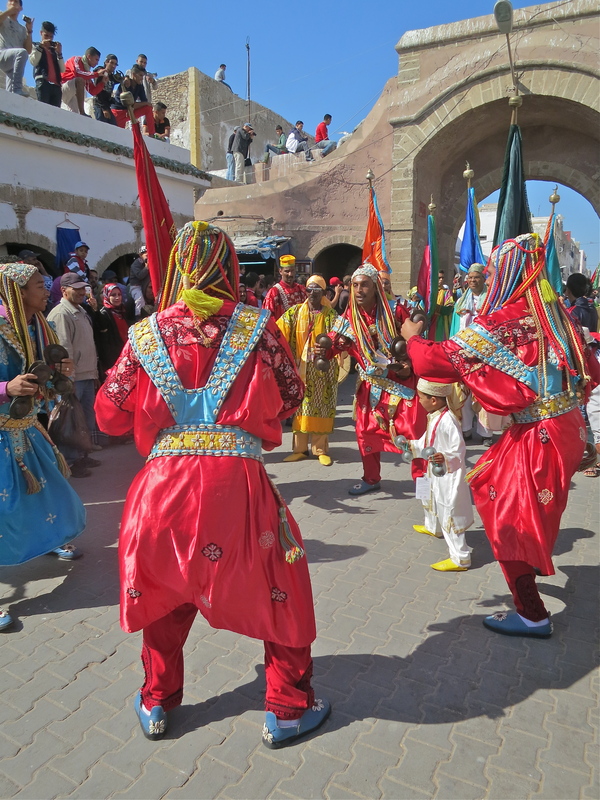 This entry was posted in Mandy in Morocco and tagged Essaouira, festivals in Morocco, Gnaoua festival, Gnaoua World Music Festival 2013, Morocco. Bookmark the permalink. I cannot wait for you to visit me in Mexico. The similarities are striking – I wonder if it might be the Spanish influence on both countries? 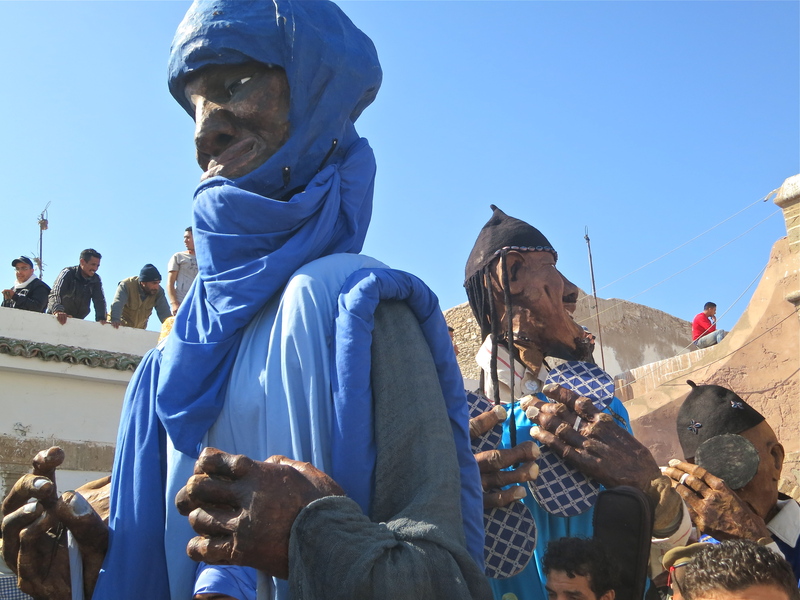 There are the same enormous papier mache figurines. The best time for all the festivals in Sept-Nov and then again at Easter. Wow! I love these photos! The colours, the joy and the beauty! Thank you for posting.